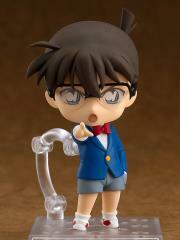 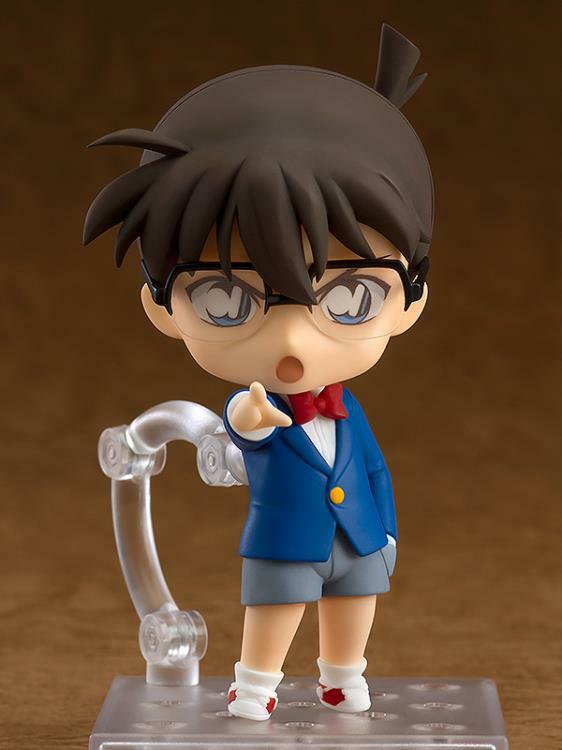 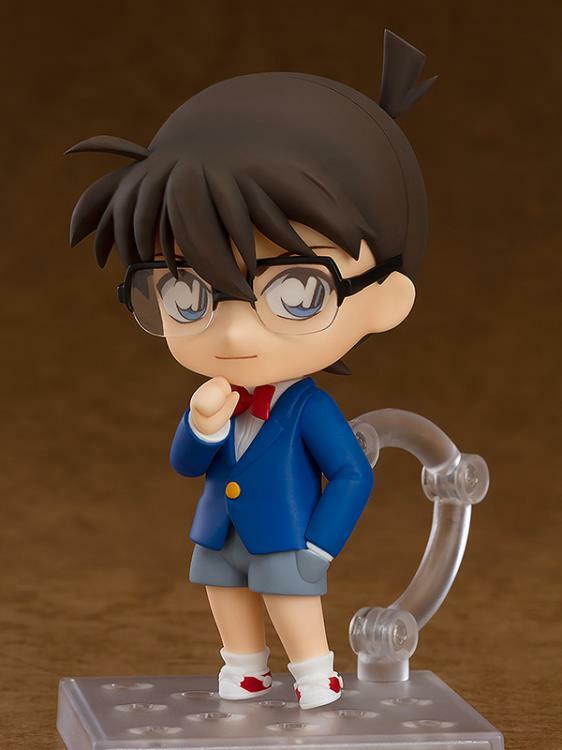 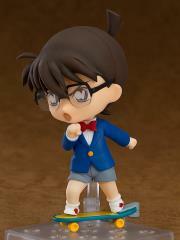 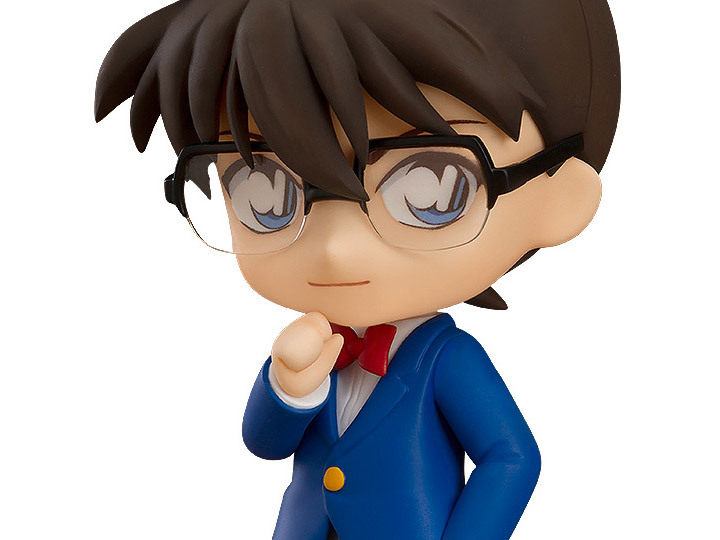 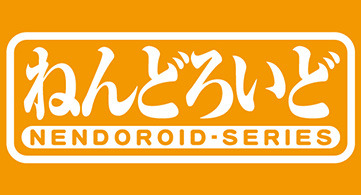 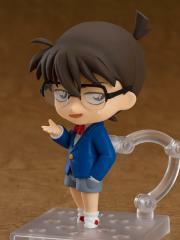 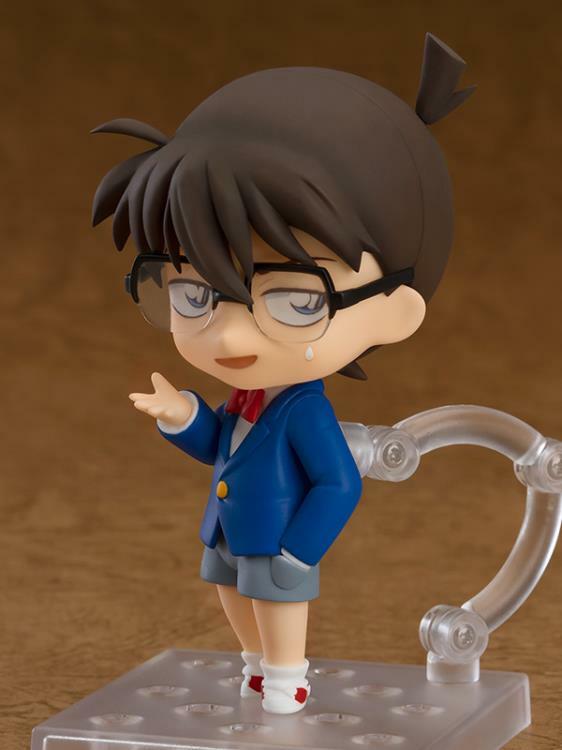 From the popular anime series "Detective Conan" comes a Nendoroid of the main character, Conan Edogawa! 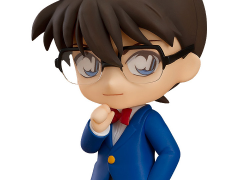 He comes with three face plates including a confident standard expression, a serious expression for when he is closing in on the criminal as well as a dumbfounded expression for when those around him can't quite keep up. 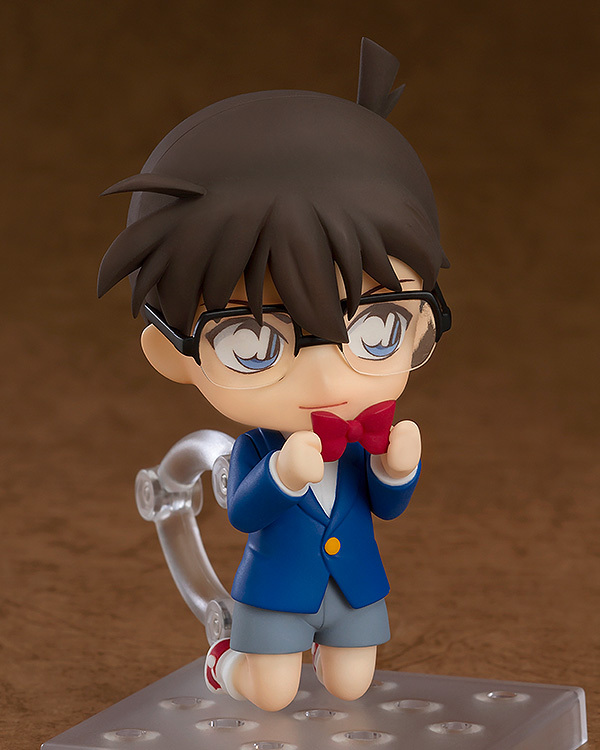 The Nendoroid comes complete with his turbo engine skateboard and voice-changing bowtie to allow fans to display him solving all sorts of cases!